Honda Indy Toronto and William Ashley will unveil the custom-designed crystal trophies by Waterford Crystal and William Ashley. The awards will be given for the winners of the Verizon IndyCar Series and Indy Lights races. 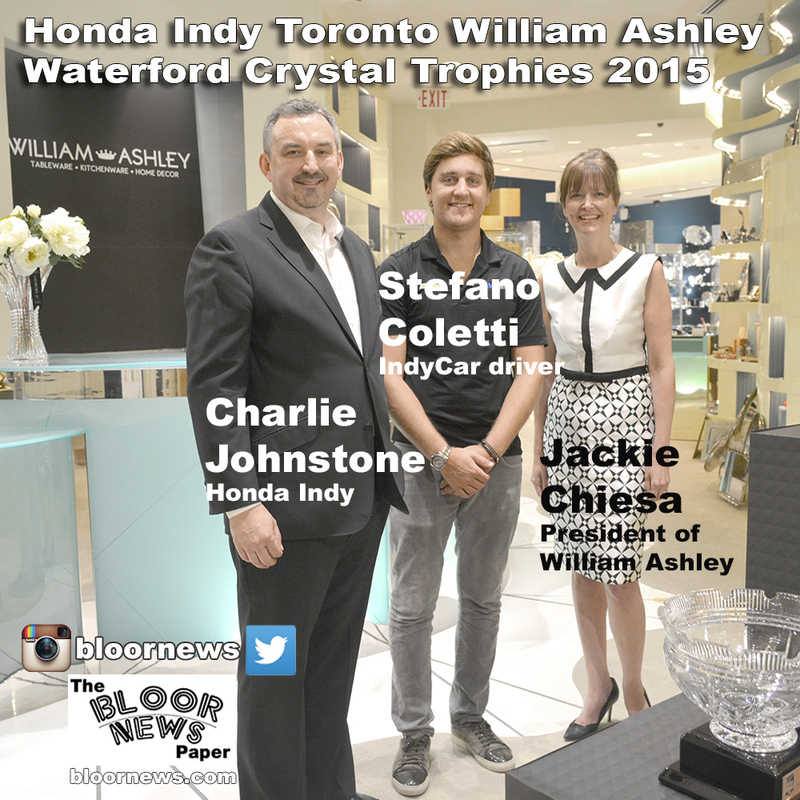 Charlie Johnstone of Honda Indy Toronto will join IndyCar driver Stefano Coletti and Jackie Chiesa, President of William Ashley at the William Ashley Bloor Street West location in Toronto.